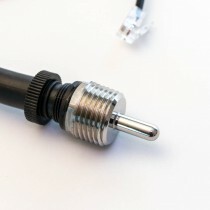 BrewPi uses OneWire temperature sensors: digital sensors with an accuracy of 0.0625°C. You can buy them here. 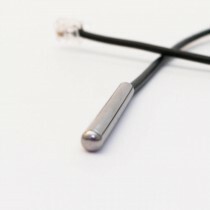 Our sensors are 100% guaranteed waterproof and have a high temperature proof silicone cable. 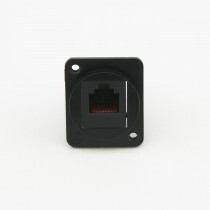 They come with an RJ11 plug, so you only have to plug them in, no wiring required. 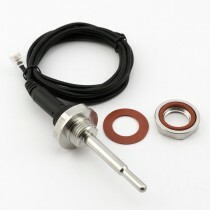 It is still recommended to mount the sensors in a thermowell. 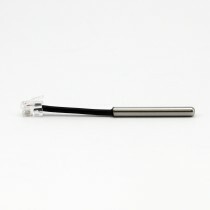 For mashing, we also have threaded sensors that can be mounted in a 1/2" BSP or NPT tee. BrewPi is not compatible with thermocouple or RTD sensors. 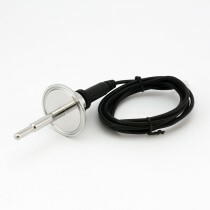 Threaded OneWire Temperature Sensor NPT 1/2"